Preview Final Day: Destiny awaits, who will take the plaudits in Kitakyushu? The Seamaster 2018 ITTF World Tour Lion Japan Open has produced plenty of talking points so far and spectators are set to witness yet another dramatic day of table tennis in Kitakyushu as proceedings officially conclude on Sunday 10th June. Here's what you've got coming your way on the final day of play. Starting at 10.00am (local time) Liu Shiwen and Wang Manyu will face off for a spot in the Women’s Singles final in what should be a cracking duel. 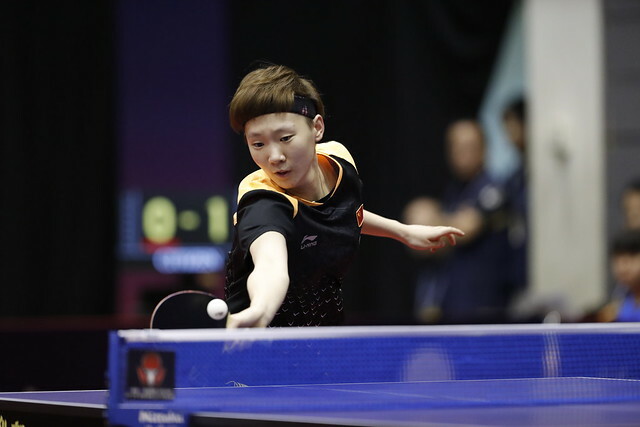 Chasing her fourth title of the year, Wang Manyu plays in the knowledge that a gold medal finish in Kitakyushu will result in her becoming the new World No.1 but Liu Shiwen knows what it takes to win on Japanese soil having won the Japan Open title in 2016. Rather astonishingly there has only been the one Japanese Women’s Singles Champion in the history of the Japan Open: Ai Fukuhara’s successful outing at the 2013 edition of the tournament, but could that be about to change? Mima Ito carries the hopes of the host nation and will be looking to achieve her first victory over Chen Xingtong on the international stage when she meets the Chinese star on day three. Then comes the two Men’s Singles semi-finals with Timo Boll’s highly anticipated encounter with Zhang Jike featuring first: having met on five prior occasions, Zhang Jike leads the head-to-head record with four wins but Timo Boll is seeded first in Kitakyushu and will fancy his chances of picking up a second win against his unseeded opponent. Lee Sangsu and Tomokazu Harimoto both delivered noteworthy victories in their respective quarter-finals fixtures and now the players from Korea Republic and Japan will do battle for the chance to compete in the title contest. This is their second encounter of the year with Lee Sangsu prevailing at the 2018 ITTF Team World Cup back in February but are we in-line for a different result in Japan? The first final of the day commences at 2.00pm as qualifiers Gu Yuting and Mu Zi attempt to upstage seventh seeds Liu Shiwen and Wang Manyu in the race for the Women’s Doubles crown and will be followed by the Men’s Doubles final which sees third seeds Jeoung Youngsik and Lee Sangsu take on the unseeded partnership of Liang Jingkun and Zhou Kai. Following the conclusion of the two doubles finals will come two further contests as the two singles events draw to a close. Who will emerge victorious in Kitakyushu? Watch the final day of the Seamaster 2018 ITTF World Tour Lion Japan Open play out live with itTV.